Hewwwow Blogville! It is I, Finnackles, your Director of Parks and Recreation here with a MAJOR ANNOUNCEMENT. 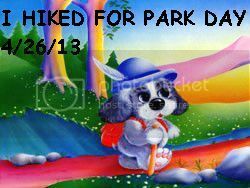 With Mayoress Madi’s permission, I have declared April 26th Blogville’s Park Day! That means between now and April 26th (you have three weeks!) you need to take your peep to a park and get photographic evidence you were there. Then, on that day, write a post about your park visit, and leave me a comment here so we know you went! We will have a random drawing for some prizes with all those who enter. And, I have to tell you, we have been getting some great prizes for this. Now, I just said “we.” You didn’t think I could do this event all by myself, did you? No way! I am happy to report that our Blogville Outdoor/Woodsman Guide, Gizmo, is co-hosting this event with me! And tomorrow, you can head on over to his blog for some tips on how to find parks in your neck of the woods. Need some encouragement? I shall remind you between now and then. With cute pictures of moi at parks. We have been wanting to go to Sleeping Giant again. Now we have a good reason to give our peeps a push! What a wonderful idea! It’s been a long time since I stepped foot in a park! 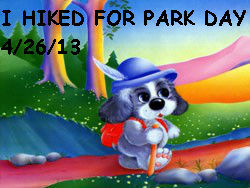 We are out everyday at the park unless the weather is really bad but we will join in and do a post for the 26th. Have a fabulous Friday. WooHoo Finn and Gizmo I’m so excited for Mom… since I don’t do outdoors dad has agreed to take mom to a park for me and he said he be sure she hiked . I hopes it can be any park…like a hooman park cuz we has no dog park. Dis is gonna be FUUUUUUUUN, I am so in! I loves Gizmo, he be funny. How fun! We don’t have many parks near us here in Florida that are dog friendly (or many parks at all) but Mommy said that there is a suedo-park right here where we live so we’re gonna try and give that a go! This is gonna be an adventure and we’re looking forward to it. What a great idea! Now that the weather is getting better here we’re getting out and about and further too. Now is the time, before the bugs get really bad. We have something special planned for that day already….and it involves a VERY special park! This sounds like lots of fun. We have so many parks around us we will have to decide which one to do. Sounds like this will be a very fun event. We hope we can get Mom to take us to the park too. OH Director Finn… WE are SOOOOOO very much ALL OVER this one!!! THANKS to You and Gizmo too!! THIS will be a BLAST!!! That second pic on the beach is incredibly beautiful!!!! Park day? I think our boys will like this one! Such a good idea! Luna and I are excited to hit the trails! Ooh boy, what a fun challenge! I am certain that we’ll go to a few parks between now and then, and I always love taking pictures of our hikes. Looking forward to seeing where everyone else goes. Way cool, Finn! I’m looking forward to hiking to the Park! Hey there Finn ~ nice to meet you (and Charley!). Madi posted your BIG news abouts the Park Day…very cool! 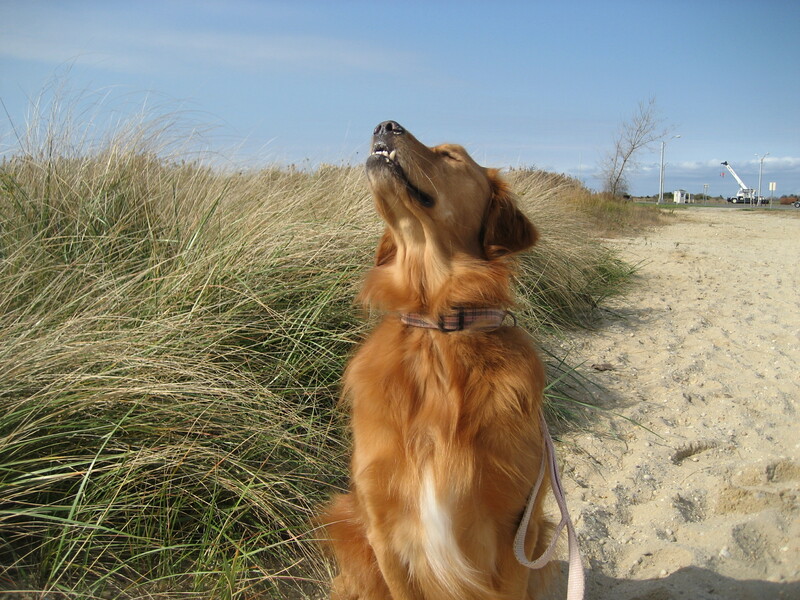 None of our parks here allow doggies ( I know…the NERVE!! ), butts I have an ‘in’ at one of the parks (the park peeps allow ‘some of us’ in! ), so hopefully I can gets some pics! If not, I can be a rebel and gets pics from the fringes. Great Idea Finn! Hi Finn and Charley!! Our winter was long and we haven’t done anything. Park Day is great idea!! What a great idea! Park day! Mom & I spend LOTS of time hiking in our local parks, so this should be easy for us. Well, the park part will be easy, mom finding time for the blog post won’t be as easy, but I’ll try to make sure she does! Sounds like fun! Great idea! Yeah for Park Day!! We are going on an organized hike with the Airedale club the next day, at the beautiful Lucia Falls in Washington State. We will figure out a way to post early! What a PAWSOME idea my Finnackles!!! We will start nagging mom & dad about it right away. What a great idea. You can count me in on that! 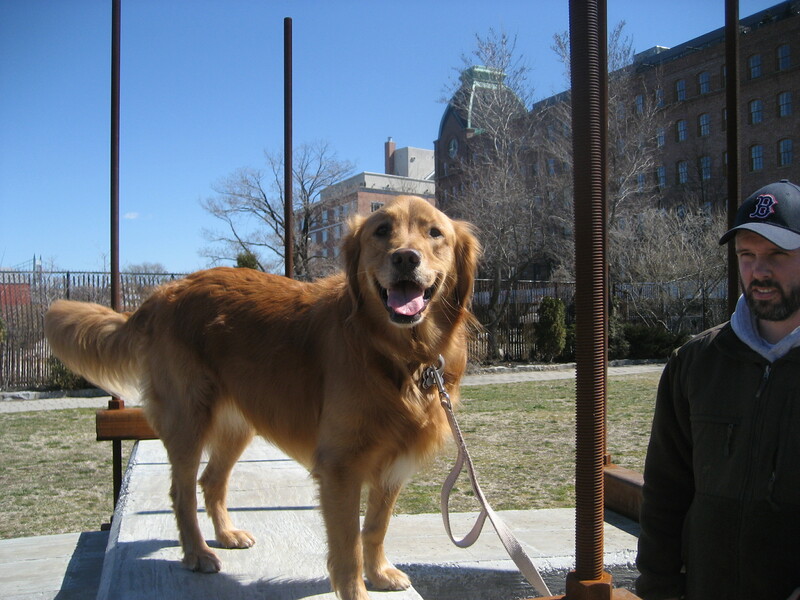 SlimDoggy will be there too – perfect match for our FitDog Friday Hop too!